Today's women are always on the run. They are running from role to role - be it a daughter, a sister, a wife or a mother. They are running from duty to duty - handling household chores, managing kids, running a successful career. They are running from place to place - home to work to party to travels. For such women, diamonds don't qualify as best friends, good razors do. 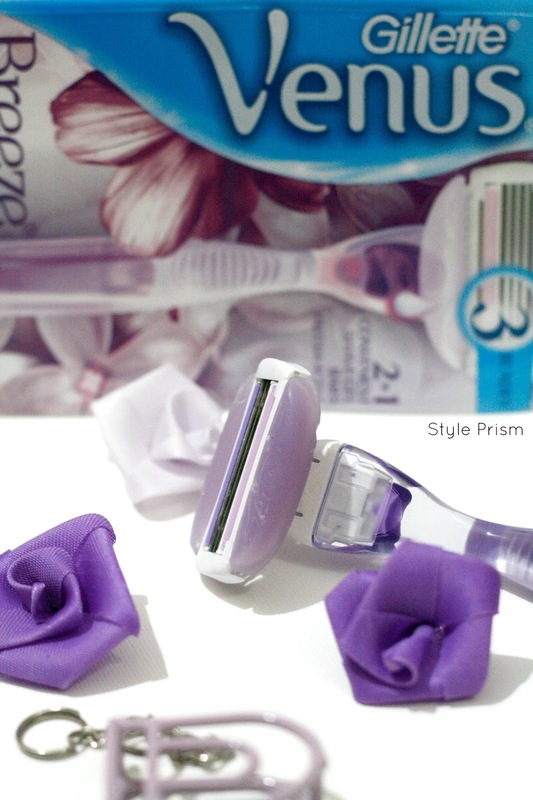 A good razor that makes shaving off unwanted hair a quick, easy & effortless affair is what our dreams are made of! But not any more!! 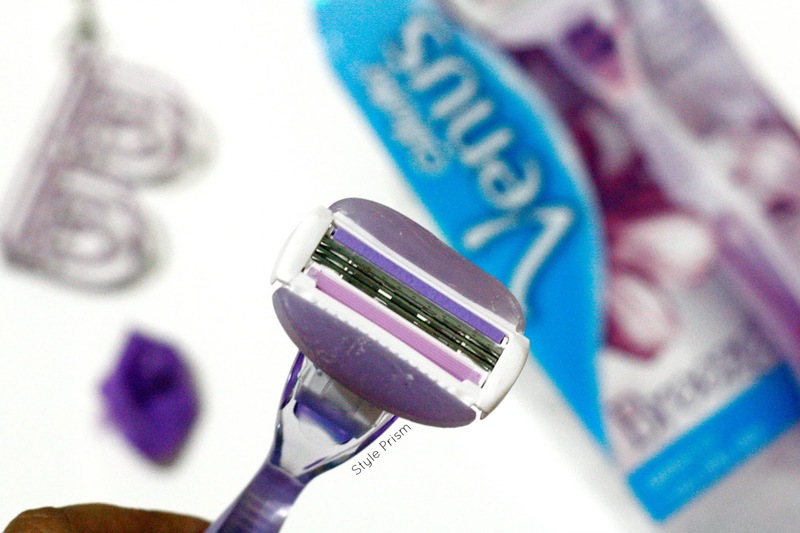 The Gillette Venus Breeze comes into our lives to take our shaving experience a notch higher with its super-cool features! 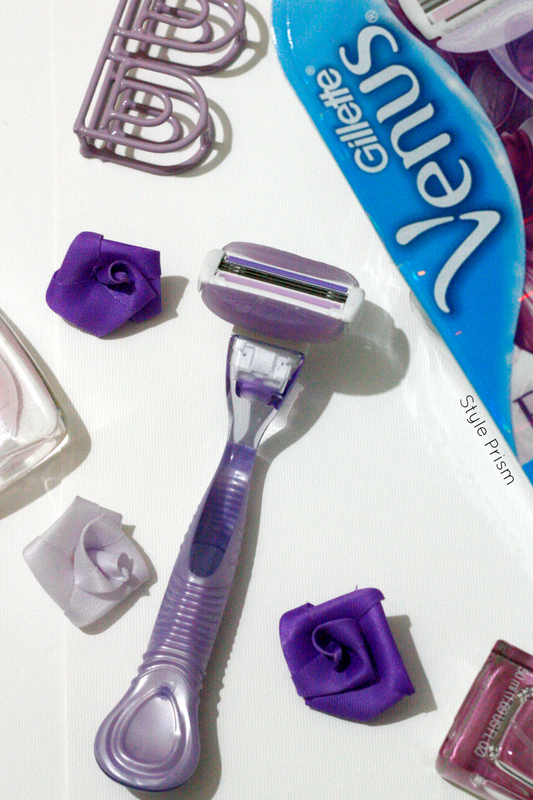 Here's all that you need to know about the new Gillette Venus Breeze that is here to make shaving an easy & effortless activity in our fast daily lives! The newly-launched Gillette Venus Breeze is made to give you the perfect ultra-close shave for smoother skin. With its contour non-slip ergonomic handle for that sturdy grip and three-blades feature for a close, super-smooth shave; this razor ticks all the right boxes. This razor also boasts of 2 moisture gel bars flanking the blades that gets activated by water and gives you a gliding shaving experience, without the need to use extra soap or shampoo. These gel bars are formulated with body butters like Olive, Avocado & Kokum, and Glycerin to help retain skin moisture even after a shave. And the best part? The mild yet fresh tropical fragrance that emanates from the gel bars while shaving.......removing body hair was never such a rejuvenating & sensorial experience before! 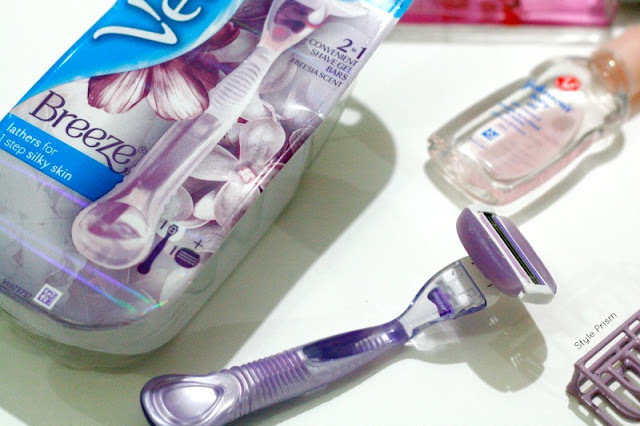 I have been a regular user of the Gillette Venus razor and this upgraded version of my favorite beauty essential is my new-found-love as far as grooming products are considered. The moisture gel bars are the best part of the razor as they make the whole process smoother, easier & more fragrant! Although the lather produced by the gel bars are light and enough for the shaving process, I sometimes feel a little bit more lather would have been nicer. But, they definitely help in keeping the skin soft & supple, and the shaved areas don't dry up as easily as before. The ergonomic handle is perfect for a sturdy grip and the flexible head helps shaving in curvy areas smooth & effortless. Not to mention the pretty lavender color and the beautiful packaging that I love! What's more, the gel bars will fade up when they are not usable anymore, acting as an indicator that you need to get a new cartridge! At 299 bucks, this promising new razor on the block is all set to knock other hair removal methods out of the park! 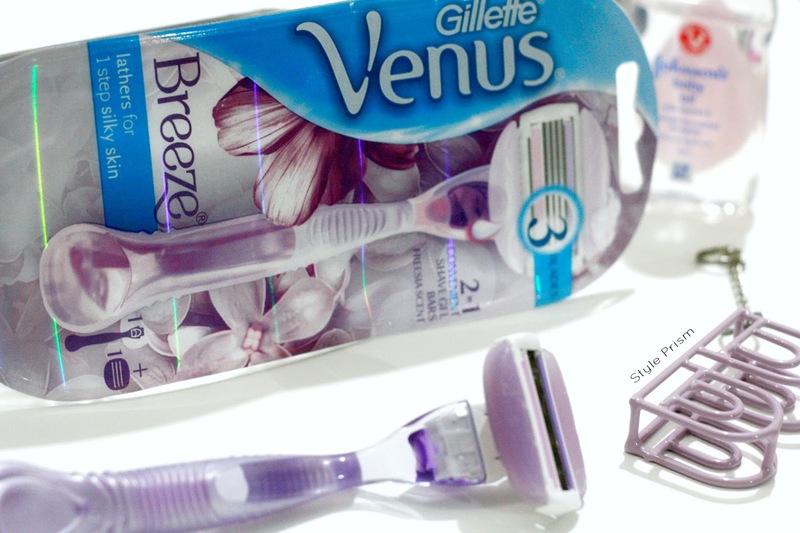 If you haven't got yourself a Gillette Venus Breeze yet, get it now to make shaving unwanted hair an easy-breezy affair!!! 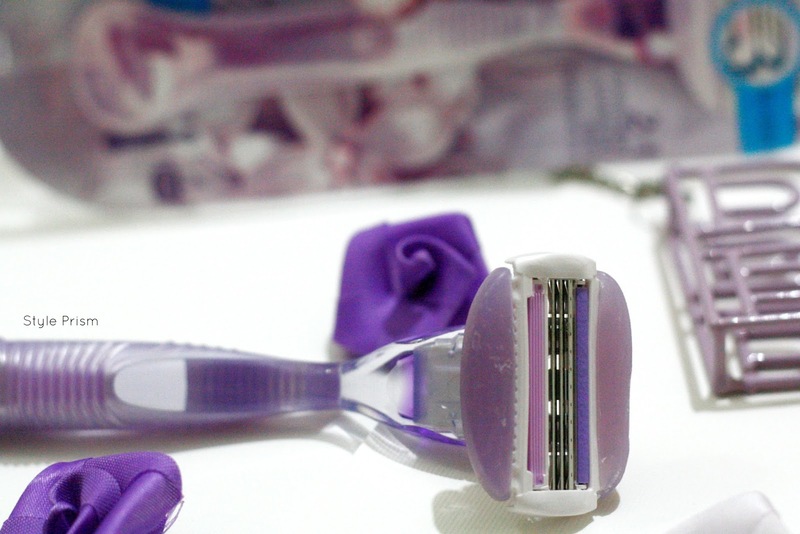 For those of you who are still unsure of using a razor for hair removal, I'm going to bust all those age-old shaving myths in another blog post coming up soon! Stay tuned!! This product is a boon!